2013/14. Junkers J1 wing span 40inch. 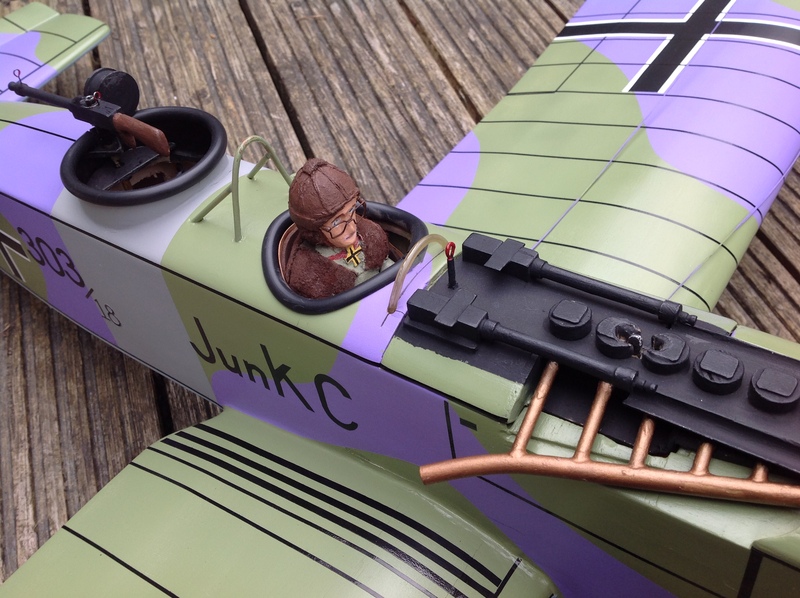 This model was built at the request of the organisers of Old Warden Scale meeting 2013, where they asked modellers to produce WW1 models for next years centenary scale meeting. I looked around but most of the models I could find were Bi plane types, I was looking for something different and came across the Junkers mono wing which looked very nice, drawings very downloaded and enlarged. 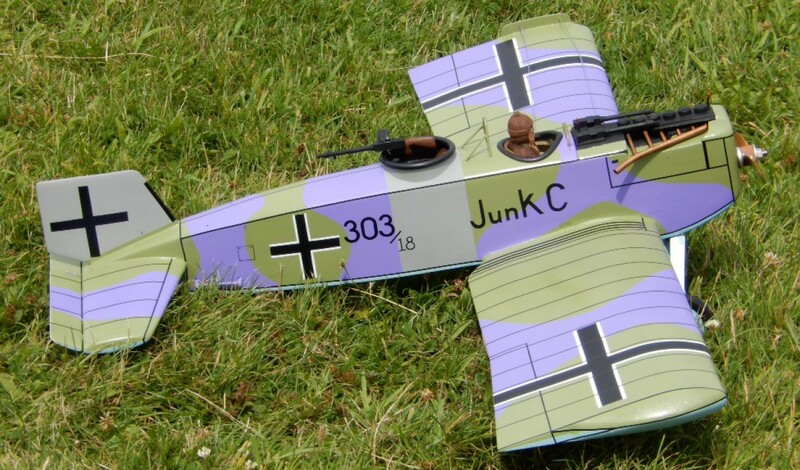 The model is of normal balsa construction fitted with a electric motor, the wing profile is identical to the original, the model was flown at the Scale meeting in July and won both single engine class and the Aero Modeller award. The model flys very well even at very slow speeds this must be down to the wing profile, it is also fitted with two sound modules one for machine gun fire and the other for engine sound, giving realism to the flight. 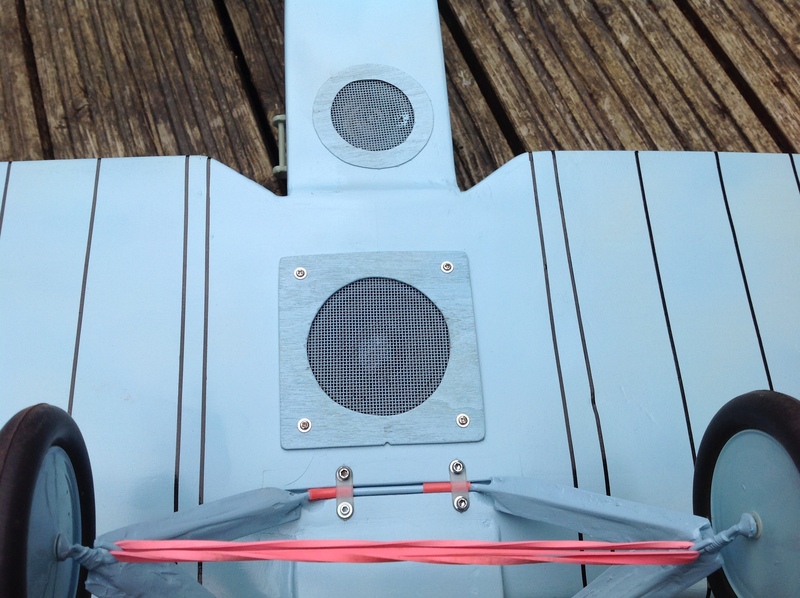 Loudspeakers mounted on lower fuselage. Hand made pilot and machine gun.